There’s something fun about bright pink lipsticks that add an instant wow-factor to your finished look. But getting the right shade is important. There are lots of glossy shades that I prefer to wear in the summer or in the evenings but matte shades (I find) work best at any time and in any season. MAC have a great selection of pink shades that work well on their own or when combined with other shades for that glam ombré look. My top 3 MAC pink shades are ‘Girl About Town’ ‘Please Me’ and ‘Speak Louder’. These are all bright fun shades that look great when worn alone or with another colour. I don’t often team these with a lip liner but if you want to then MAC’s ‘More to Love’ is great. I often actually wear this liner as a lipstick because it’s such a lovely shade and lasts for hours and hours. Sleek also do a great matte lippy called ‘Mystik’ this is more of a purply pink but is perfectly matte and again lasts almost all day. I haven’t always been a fan of Sleek but their lipstick range is pretty cool, they have some really rich colours, it’s worth checking out. My absolute favourite pink lippy however, is by Estèe Lauder and you’ll never guess what it’s called… ‘Fuschia Fever’ of course! Lol! 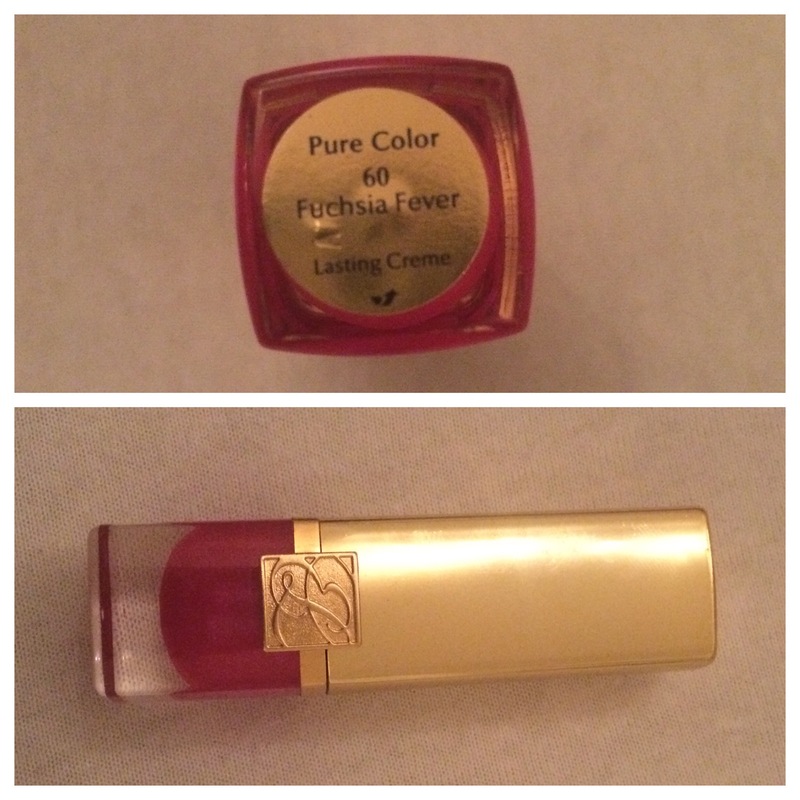 This Lippy is just lovely, it’s moisturizing and gives great coverage for a lipstick that’s got a shine to it. It’s long lasting and you’ll hardly need to touch up after eating. Again I don’t wear lip liner with this, but if you’d like to MAC’s ‘More to Love’ is an excellent match. Or for an Ombré look use MAC’s ‘Rebel’ lightly on the outer edge but make sure you blend it well with a small lip brush. What are your favourite pink lipsticks? Hope you’ve had a fab Monday!